Vehicle warranties offer you peace of mind in your purchase and ongoing protection for your car during the first years of your ownership. 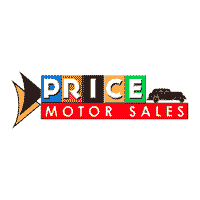 At Price Motor Sales, we want our local car shoppers in Cassville, Mt. Union, and Huntingdon, PA, to have all of the information they need about the Chrysler, Jeep, Dodge, or Ram vehicle they’re interested in upfront. That’s why we put together this quick guide to CJDR warranty coverage. Learn more about the standard warranty coverage you get when you buy a new CJDR vehicle below and let us know if you have any questions! The Basic Limited Warranty—standard on all CJDR cars, SUVs, trucks, and minivans—provides total bumper-to-bumper coverage for your vehicle’s systems and parts for three years or 36,000 miles of driving, whichever comes first. From the Chrysler 200 sedan to the Ram 1500, most all-new CJDR vehicles* are also protected by a Powertrain Limited Warranty that lasts five years or up to 100,000 miles. This crucial coverage ensures your gas engine, transmission, and drive system stay in excellent condition, and pays for all parts and labor needed to repair one of these components. Ongoing roadside assistance is provided in new Chrysler, Jeep, Dodge, and Ram vehicles as part of your 5-Year/100,000-Mile Powertrain Limited Warranty. During this time, if you end up with a flat or need towing to a certified CJDR service provider near you, you’re completely covered! Another unique advantage to CJDR’s standard warranty coverage is that all warranties are transferable. 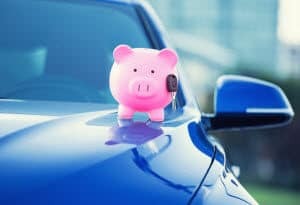 Should you decide to sell your vehicle during the warranty period, the remaining coverage will continue on for the next owner—an added benefit for pre-owned car shoppers looking into gently used Chrysler, Jeep, Dodge, or Ram vehicles (model year 2010 and newer). Protection for your vehicle and peace of mind for you, that’s what we call a win-win! To learn more about CJDR warranty coverage, feel free to reach out to the Price Motor Sales team at any time. If you’re ready to get started on your search for a new vehicle that will go the distance, browse our CJDR inventory where you’ll find dozens of new cars, trucks, and SUVs from four top brands in the industry. * Ram Diesel Chassis Cab models are exempt from the 5-year 100,000-Mile Powertrain Limited Warranty, but still covered by the 3-Year 36,000-Mile Basic Limited Warranty.